To start off 2019, The Parkview Museum Singapore presents Breezing Willow, a fine collection of paintings from the National Art Museum of China. 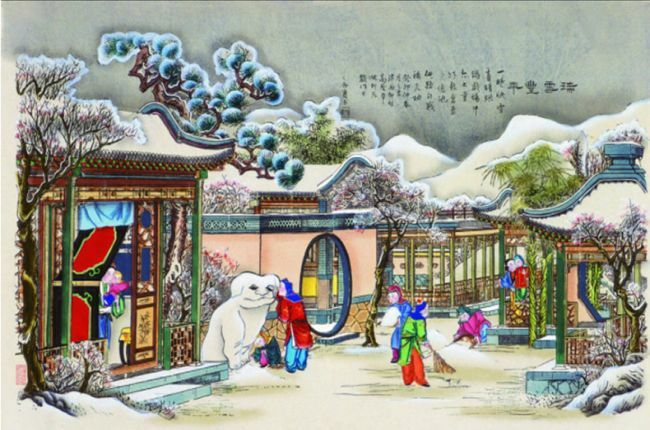 Nestled in the western suburbs of Tianjin, China, Yangliuqing town is famous for celebrating the Chinese New Year by creating Nianhua – coloured woodblock prints that welcomed the new year and bid farewell to the old through the retelling of folk tales and depictions of daily life. Rooted in the ordinary and enlivened in life, the various styles and features of these ancient prints show the beauty and diversity of China’s cultural heritage and this exhibition pays homage to the well wishes of the Spring Festival with an abundance of blessings for the new year ahead.